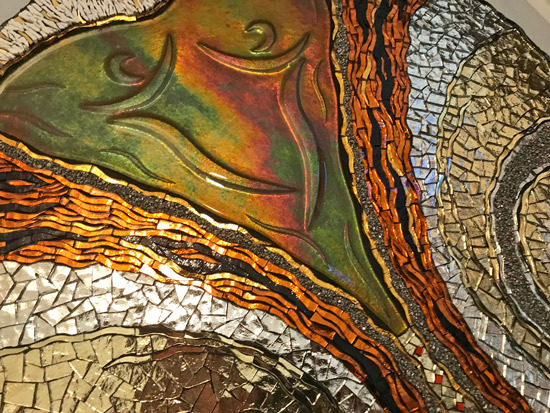 Clarendon Gallery 46 Dover Street, London, W1S 4FF - until Wednesday 24th April 2019 (Monday - Saturday 9.00am - 6.00pm; Sunday Closed) - you'll need to query Easter Monday with them direct. They ask you to register your interest to attend the exhibition at skyartsportrait@clarendonfineart.com - but I think they're only concerned about numbers. Thereafter, exhibitions are limited to 2 days at weekends - so be sure to make a date in your diaries! 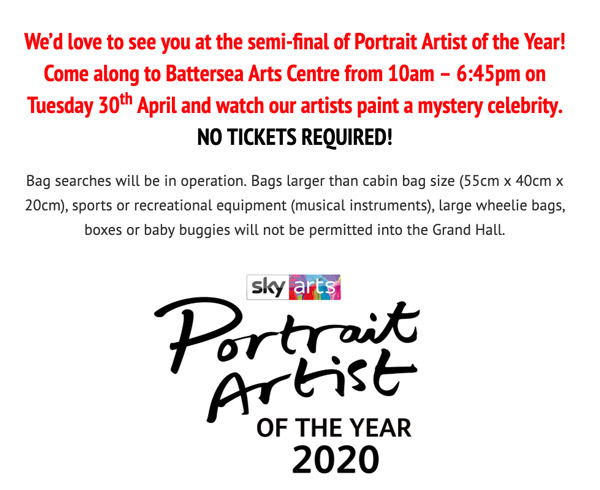 At the end of this month - on 30th April 2019 - you can see the Semi-Final of the Portrait Artist of the Year 2020 - in which all the Heat Winners will be participating. DO NOT GO if you don't want to know who won which Heat - before it is televised! I know some of you don't like unexpected surprises! I can however tell you that I watched every episode of the Heats for 2019 even though I already knew who was in the Final - because I watched it last June! It didn't make any difference whatsoever to my enjoyment of watching the programmes - including the Semi-Final. Posted by Making A Mark on Thursday, April 18, 2019 0 comments Who's linking to this post? 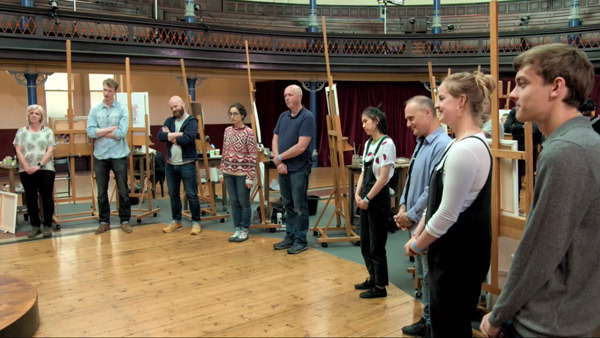 The Final was actually held at the National Portrait Gallery on 13th June 2018.
points you in the direction of pictures of what the Final actually looks like from the artists' perspective. The Prize for winning the competition is a £10,000 commission. This year the commission was to paint Tom Jones for the National Museum of Wales. So a not insignificant prize and a not insignificant sitter to paint for posterity. 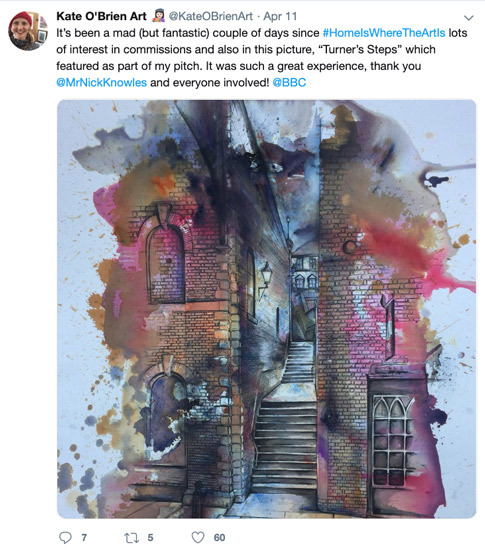 Sara Lavelle (Twitter | Instagram) - video - Foundation Diploma in Art and Design (Distinction) at Falmouth University and then went on to study Illustration BA (Hons) at the University of Brighton (and got a First Class Degree). As a final year graduate she had only recently taken up painting. Now based in London. Tom Mead (Facebook / Instagram) - video - Always nice to see a website which includes evidence that the artist goes to life class and can draw from life! Currently doing a BA degree in Painting at the University of Arts (Wimbledon). He creates paintings with a multifaceted perspective on individuals which suggest movement. Loves to paint in acrylic. These are Tom's paintings in the competition. 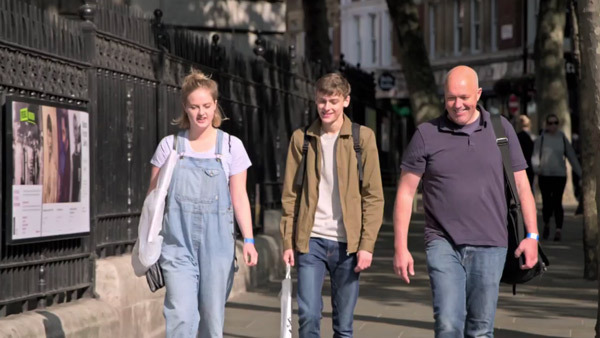 Duncan Shoosmith (Facebook/ Twitter / Instagram) - video - based in Wiltshire; combines painting at home in his garage with looking after his three young children. He does great portraits of kids if you take a look at his website! One of the themes within the programme was of the old professional versus the two young cubs metaphorically snapping at his heels or as someone put it 'youth ganging up on old age'. It's certainly the case that the only painter who was professional or had any experience was Duncan Shoosmith. After last year's final one might have taken this to mean that he could be written off - and that youth and innovation would win through. 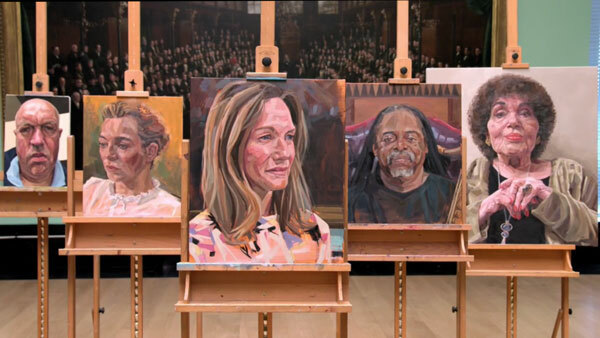 Comments from the Judges at the beginning suggested that what they particularly liked about these three portrait painters is that they all come at portraiture from their own unique angle. They were very pleased with the three they had chosen. One of the themes within the programme concerned the stress and nervous energy associated with a Final. The suggestion from the Judges was that the artists live off their nerves and that this is a good thing. 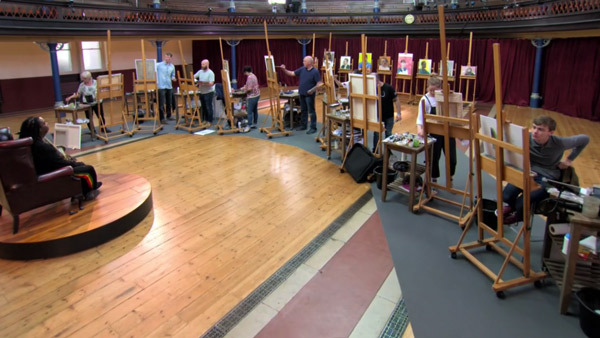 From the comments of the artists, they recognised that nerves were natural in the context of the Final but that they'd prefer if they felt a bit more relaxed. This was the set-up for the Final. You may just be able to spot the olive green chair for the sitter underneath the very big painting - and the ACRES of space between easels and sitter. Posted by Making A Mark on Wednesday, April 17, 2019 0 comments Who's linking to this post? 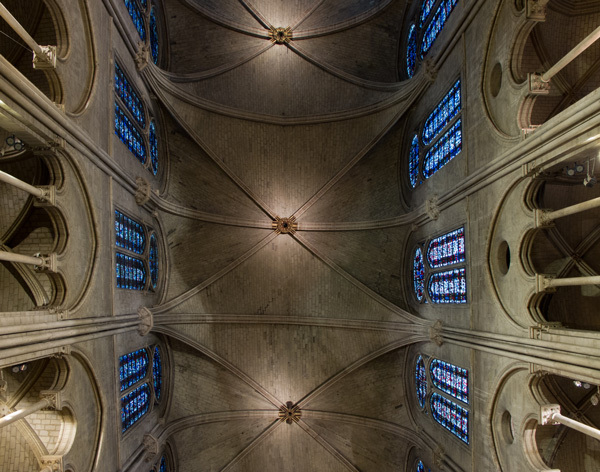 This is about ways to donate if you feel strongly that you would like to contribute to the restoration of the Cathédrale Notre-Dame de Paris. Today my mind turns to the future - and the restoration and how it will be funded. 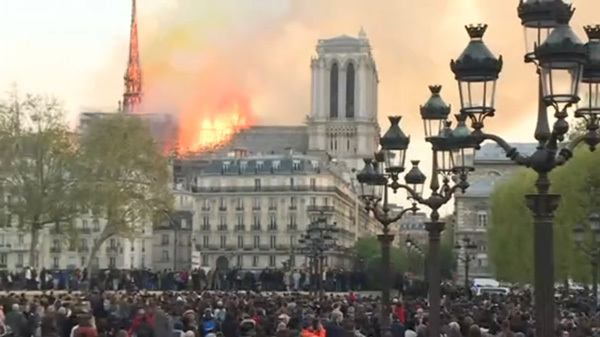 I contributed to the Fund for rebuilding of the Glasgow Art School after their dreadful fire and will also be contributing to the restoration of Notre Dame. Various French billionaires and French companies have pledged huge sums currently totalling €600 million (£520 million / $677 million) At present there's a bit of what seems like status-based arm-flexing going on amongst French companies in terms of pledges being made! The Louvre will be providing a home for the artworks and artifacts rescued from the building. 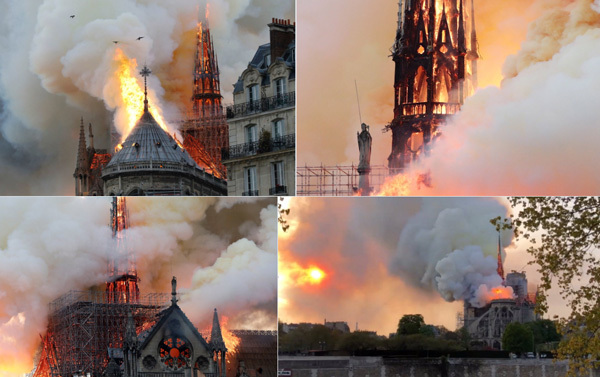 Friends of Notre-Dame: This is the official organisation that has raised money for the restoration that was underway. This is the donation page on its website. Apparently more than €2 million (£1.7m) has been raised in less than 24 hours for the rebuild through an official website. 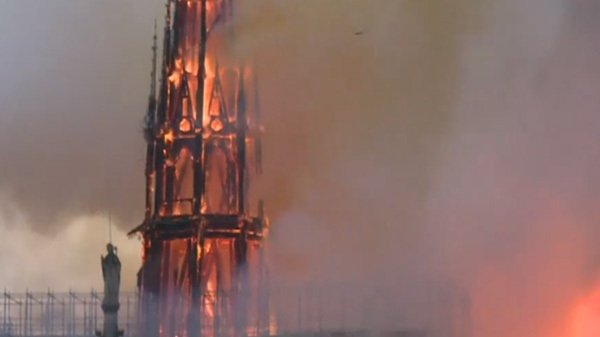 It pre-dates the fire, was already helping to fund the restoration and has offices in both France and the USA. 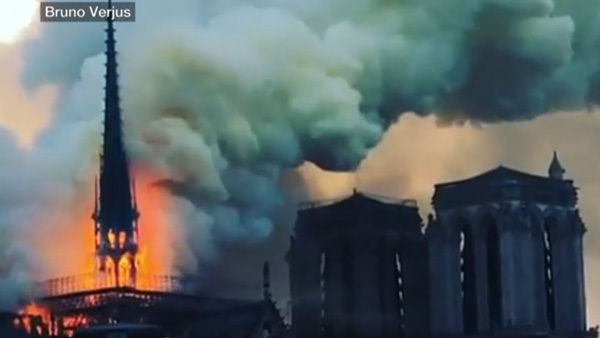 The website explains the curious arrangements which led to this situation - and why President Macron was so very prominent at the fire last night! My recommendation would be to donate direct to the organisation already set up for the purposes of restoring the cathedral. 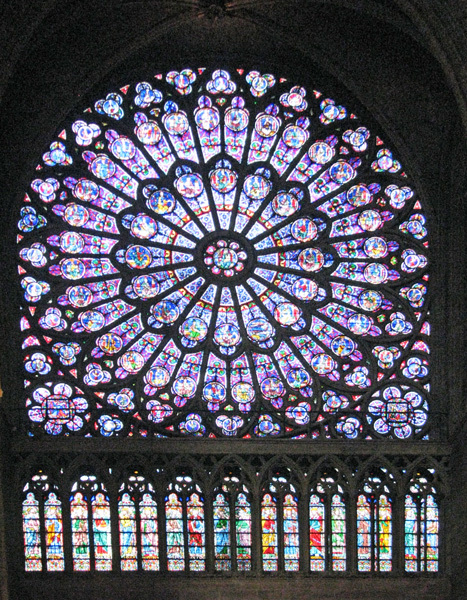 The U.S. branch of the Friends of Notre-Dame (see above) is a 501c3 public charity, making all gifts tax-deductible for U.S. contributors. 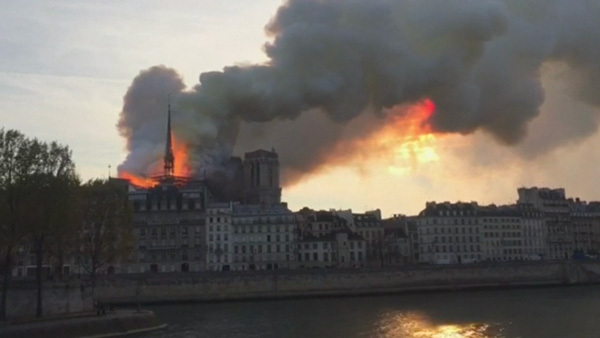 The New York-based French Heritage Society has launched a Notre-Dame Fire Restoration Fund. It is a 501 (c) (3) charitable organization and donations are tax-deductible for American taxpayers. Its eleven chapters in the U.S. and one in Paris have supported the restoration of nearly 600 buildings and gardens since 1982. Guided by the belief that the most enduring expression of a culture is to pass on its highest achievements, French Heritage Society is dedicated to protecting the French architectural and cultural legacy both in France and the United States, with emphasis on raising funds for preservation, restoration and education. Basilica of the National Shrine (Washington, D.C): Those Americans who prefer to contribute via the Catholic church need to note that the largest Roman Catholic church in North America has launched its own fundraising campaign. Apple has indicated it intends to support the restoration. I'm unclear what is being set up in the UK to help fund the restoration. I imagine this might be led by the Church and the Cardinal of Westminster - but who knows? As you can imagine various small projects have been set up to fund the restoration on Go Fund Me. However you can be assured that Go Fund Me will be making very sure that the funds will not be released by Go Fund Me until confirmation has been received that transfers will be made to the right people. Posted by Making A Mark on Tuesday, April 16, 2019 0 comments Who's linking to this post? Posted by Making A Mark on Monday, April 15, 2019 0 comments Who's linking to this post? Posted by Making A Mark on Sunday, April 14, 2019 0 comments Who's linking to this post? 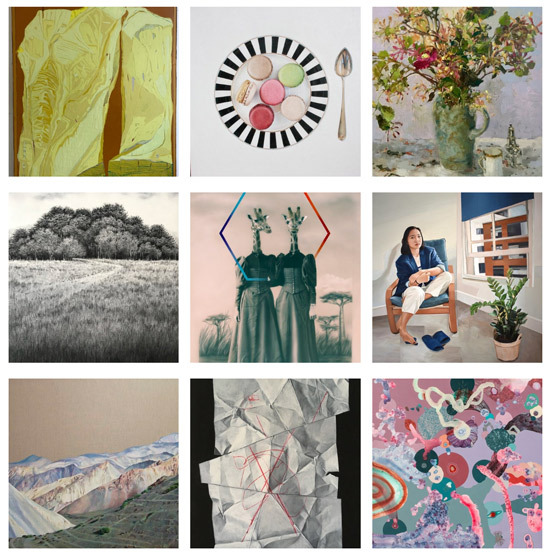 The shortlist of finalists for the Jackson's Open Art Prize (£5,000) are listed below. There's some admirable work included in the shortlist. 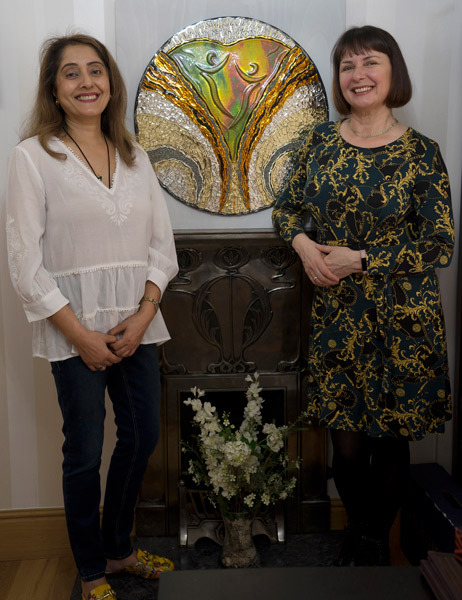 This a link to images of the shortlisted artwork in 2019 - the names of the artists are below. 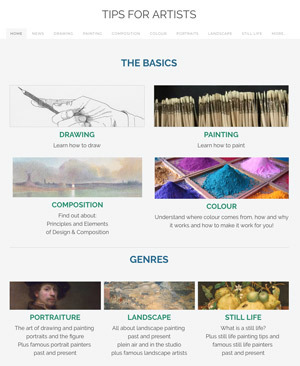 Bottom line - it's an Art Competition worth entering (see more details at the end)! 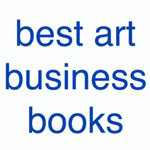 This is a link to the longlist of artworks eligible for the People's Choice Awards. 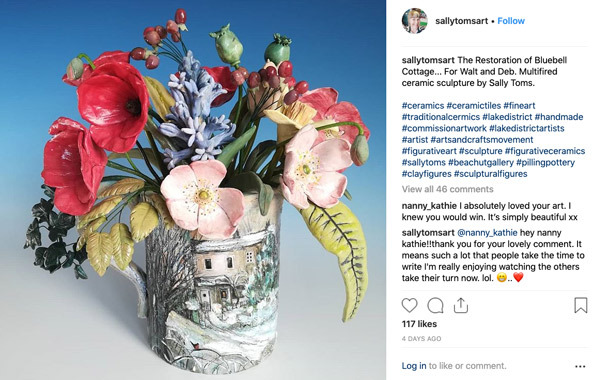 Posted by Making A Mark on Saturday, April 13, 2019 0 comments Who's linking to this post? 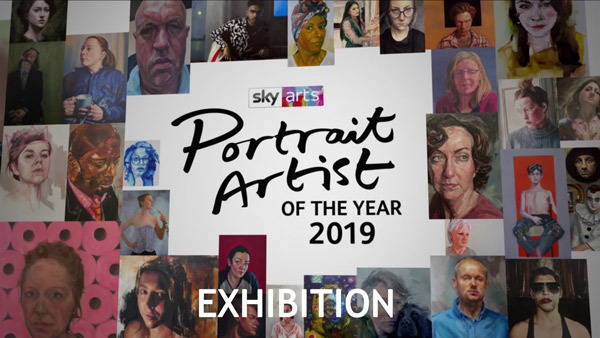 The Semi-Final Episode of Sky Arts Portrait Artist of the Year 2019 was broadcast on Tuesday - and can still be watched via Now TV. There were nine semifinalists - five men and four women. EPISODE 1 - Geoff Harrison (Portraits website | Facebook | Instagram | Twitter) - Stockport man (which greatly appealed to Stockport woman Joan Bakewell! Undergraduate degree in Fine Art Printmaking from the School of Art in Hull; lived in Japan for several years but now lives in London. He did an MA Japanese Studies at SOAS in 2009. 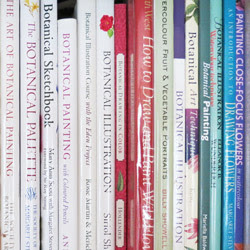 Involved with anatomical painting and illustration and medical arts. 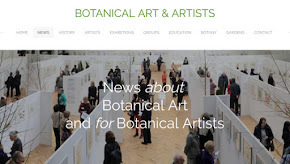 Has had two residencies: Artist in Residence at Barts Pathology Museum at St. Bart's Hospital + Leverhulme residency at The Royal Veterinary College (see his paintings) He has also been shortlisted for the Royal Society of Portrait Painters' Bulldog Bursary and long-listed for the BP Portrait Award. He produces portraits on commission - and schedules painting around looking after this children. EPISODE 4 - Archie Wardlaw (Facebook | Instagram) - video - He is a contemporary painter specialising in portraiture and still life. 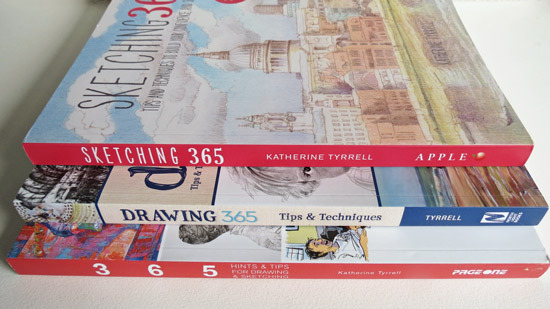 He studied Classics and Philosophy with Mandarin at the University of Exeter and then trained for five years in the Classical Atelier method at London Fine Art Studios where he is now a senior tutor. 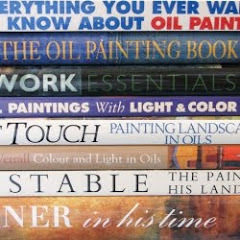 He has also taught art to the inmates of a prison. 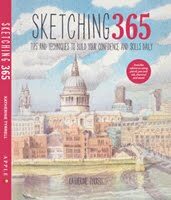 He lives in London and undertakes portrait commissions from his studio at Battersea Business Centre in London. EPISODE 8 - Duncan Shoosmith (Facebook/ Twitter / Instagram) - video - based in Wiltshire; combines painting at home in his garage with looking after his three young children. He does great portraits of kids if you take a look at his website! 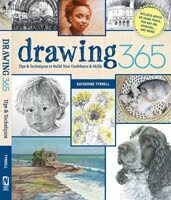 EPISODE 3 - Sara Lavelle (Twitter | Instagram) - video - Foundation Diploma in Art and Design (Distinction) at Falmouth University and then went on to study Illustration BA (Hons) at the University of Brighton. As a final year graduate she had only recently taken up painting. Now based in London. EPISODE 7 - Annie Lee (Annabella Lee) (Facebook/ Twitter / Instagram) - video - Took her art A Level a week after the heat. Now studying at Central Saint Martins. Spent an hour plotting features before starting to paint. 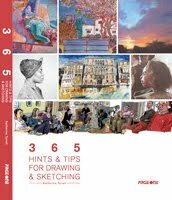 EPISODE 8 - Tom Mead (Facebook / Instagram) - video - Always nice to see a website which includes evidence that the artist goes to life class and can draw from life! Currently doing a BA degree in Painting at the University of Arts (Wimbledon). He creates paintings with a multifaceted perspective on individuals which suggest movement. Loves to paint in acrylic. For PAOTY 2018 they were at the Cafe de Paris. These semi-finals were at the Hackney Round Chapel in Clapton. 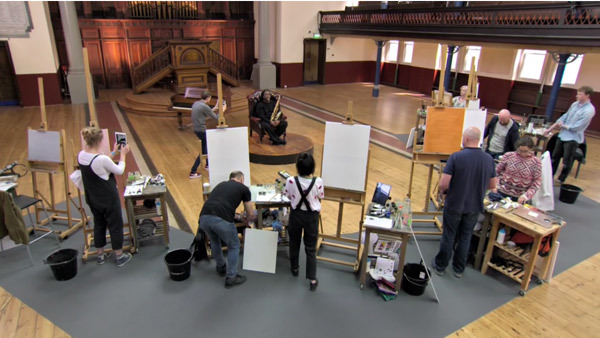 Last year, the semi-finalists were surprised to find they were painting not one but two models. 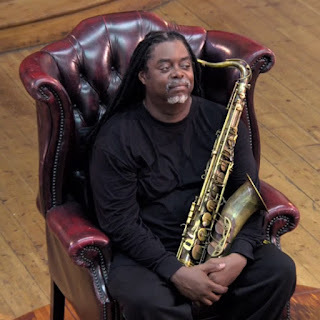 This year, they return to just one sitter - the jazz musician Courtenay Pine who brought his sax to keep him company. Posted by Making A Mark on Thursday, April 11, 2019 0 comments Who's linking to this post?